In order to create a backup of your Hyper-V host as well as the virtual machines on it, the best option is to split the workload into two portions: the Hyper-V host backup (the physical machine), and the Hyper-V virtual machine backup (the virtual servers). 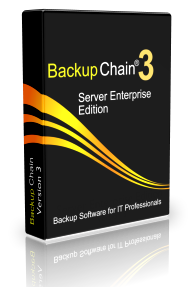 BackupChain offers several backup components to accomplish this easily and safely. The physical host disk can be either backed up using disk cloning to another disk or by creating a disk image. The virtual machines, on the other hand, are backed up efficiently by BackupChain’s specialized Hyper-V backup component. Apart from disk backup and virtual machine backup, BackupChain also offers a very unique and nifty technology: granular backup. Using granular backup you can back up files and folders inside the VM but you do that from the host; hence, no software needs to be installed inside VMs and backups can run much more often as they pull only a small amount of data. Hyper-V host disk backup is possible using a disk image backup and a disk copy job. The entire system is backed up including Windows and all configurations made. Hyper-V virtual machine backup is best handled by BackupChain’s Hyper-V backup component. This is more efficient and more flexible than creating disk images. With few exceptions, disk images and cloning jobs should only be done for system hard disks. You can also utilize BackupChain to back up physical PCs and servers running Windows Server 2016, 2012, or 2008. There are lots of different options available, such as file backup using file versioning, and disk backup features. Using image backup and hard drive cloning any Windows PC or Windows Server can be backed up as an image or copied directly to another disk without reboots or interruptions. The disk backup image can be booted as VM at any time, while a copied disk is immediately available to boot the server on new hardware. BackupChain is also capable of backing up Hyper-V over the wire to the cloud or to an FTP server. FTP backup in BackupChain supports deduplication, i.e. only the changes that occurred inside the VHD and VHDX files will be uploaded. Moreover, a backup history can be created using file versioning to be able to access and restore older VM versions.